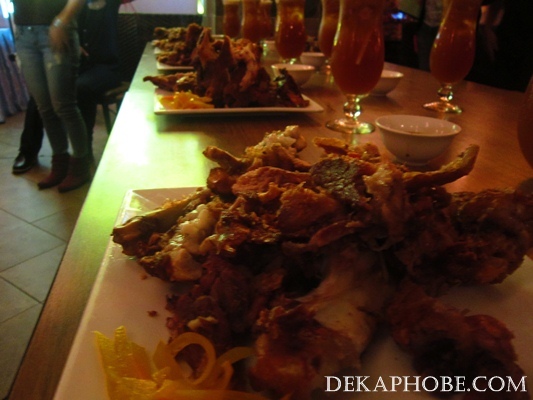 [i am a dekaphobic]: TLC Chowdown: Can You Take the Challenge? The bloggers' night took place at one of the participating restaurants, Gerry's Grill Tomas Morato. Aside from the bloggers, media people were invited as well. 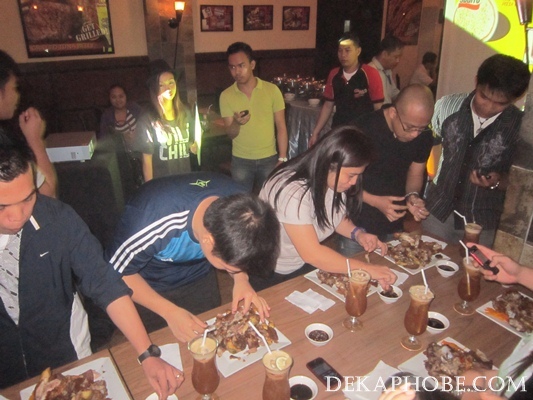 10 of the attendees were able to try the Crispy Pata Eating Challenge, where they have to finish a whole plate of Crispy Pata within 5 minutes. 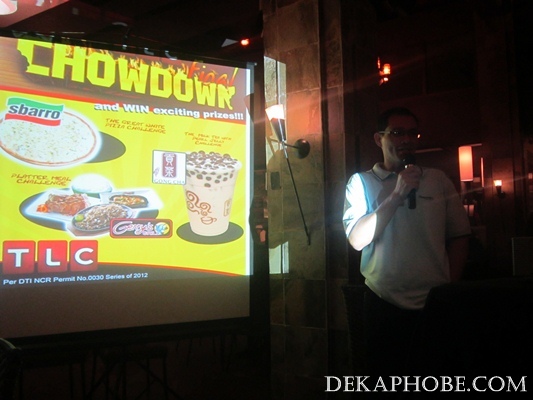 Top 3 winners per branch will be officially part of the TLC FINAL CHOWDOWN, on April 22, 2012 at the Music Hall, SM Mall of Asia. Do you think you have the guts (and the appetite) to finish the challenge? JOIN NOW! lol katakot naman yung Gerry's Grill challenge. haha. dapat may taga kuha ng BP agad. Grabe, I get traumatized every time I hear about contests like these! XD Sobrang di ko kaya 'to! Galing naman ng bf ni Berylle, hahaha! I wanna try the Gong Cha challenge ... pano kaya? 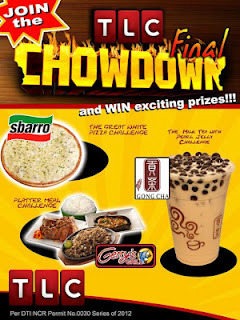 Wow, I love Sbarro's white cheese pizza and Gong Cha milk tea pero di kaya ng powers ko ang time limit! 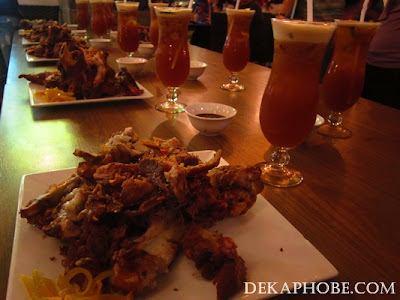 I'll pass on the crispy pata. The chowdown factor was actually a reason we couldn't make it also (apart from work getting in the way :P). Natakot kami and our supposed "Bora Bods" :P Hahaha! I kinda want to watch someone take on the challenge though. This reminds me of the 29-year old man who died last holy week when he joined a beer drinking challenge in Puerto Galera. Inatake sa puso patay! Tsk! I hope this restaurants would check on the medical condition first of its contestants. Mahirap na crispy pata pa naman yan! Be safe everyone! Maybe he already had a condition but insisted on doing the challenge. Good suggestion though. :) Thanks! Waaaaaaahhh!!! Grabe! The Gerry's Grill challenge is a heart attack in the making! 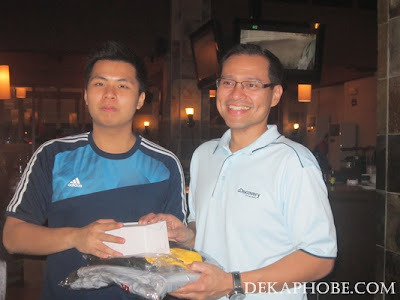 hahahah kudos to the winners! I can't imagine myself winning in any of those challenges. hahaha :D Awesome!